Talks aimed at averting a British Airways cabin crew strike over Christmas are to be held today, conciliation service Acas says. Members of the Unite union are due to walk out on Christmas Day and Boxing Day in a row over pay and conditions. An Acas spokesman said BA and Unite had accepted their invitation to attend conciliation talks on Monday morning. The action, if it goes ahead, could involve up to 4,500 staff on “mixed fleet” contracts. 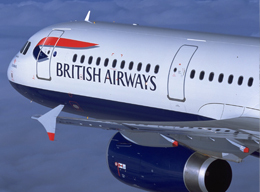 It comes after cabin crew who are members of Unite rejected a 2% pay rise offer on Wednesday – 1,200 members voted for the strike, British Airways said, around 7% of its total crew. Unite general secretary Len McCluskey said he was “delighted” the talks were going ahead. “Given the huge profits BA’s parent company made last year, the mixed fleet’s calls for a living wage and for equal treatment at work and in their pay packets must be heard,” he said. Unite argues that salaries for those on mixed fleet contracts – who have joined the airline since 2010 – are advertised at between £21,000 and £25,000, but, in reality, start at just over £12,000 plus £3 an hour flying pay. It says they do “not have collective bargaining rights” and managers have “endured a six-year pay freeze”. BA said it had proposed a “fair and reasonable pay increase” in line with that accepted by other staff, and called the strike “calculated” and “completely unnecessary”. The airline – which employs around 16,000 cabin crew – said it was “appalled” Unite proposed to disrupt customers’ travel plans on such special days.